Ola, Buen día! ¿Cómo estás? Yes, I need to speak Spanish badly – seriously, desperately for my survival. I am in Buenos Aires, Argentina. I moved to Buenos Aires about 3 weeks ago and I feel like a lost soul ever since. 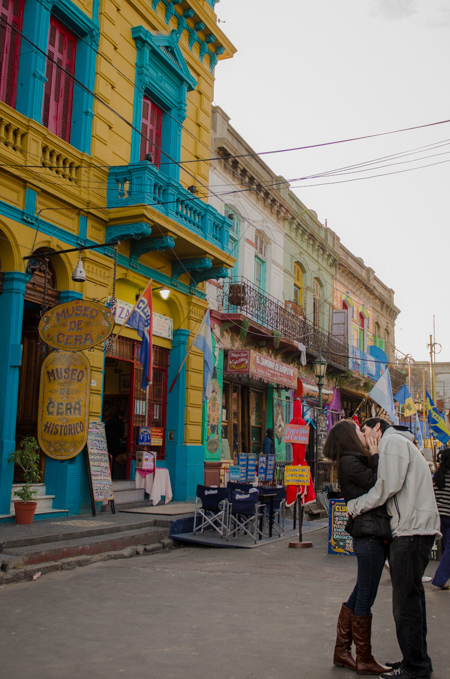 Who would have thought that I would have a chance to live in South America? 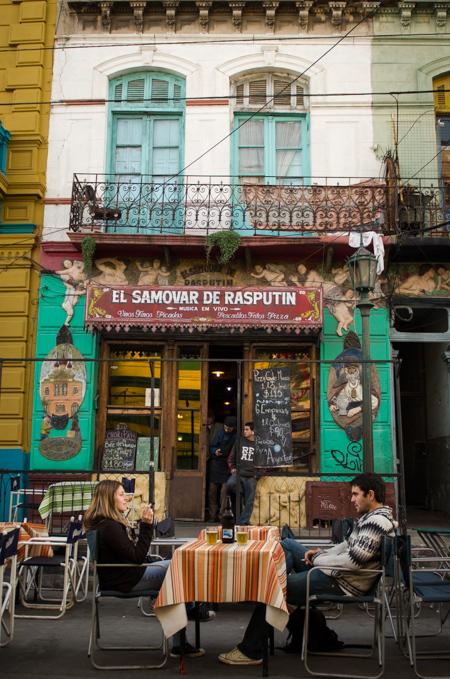 Without being able to speak much Spanish, my life in Buenos Aires is not as easy as I hoped for so far. Things are quite different than I used to, but I believe it will get better as time goes on. I am still waiting for my stuff to arrive, and who knows how long it will take? 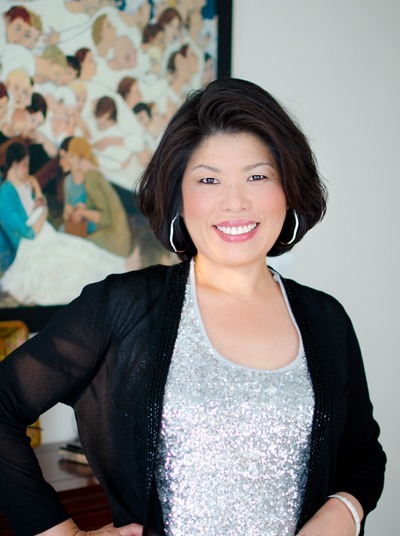 I’ve been having a long break from cooking and blogging for the past month, and I am getting ready to re-energize myself and share my passion with everyone again. 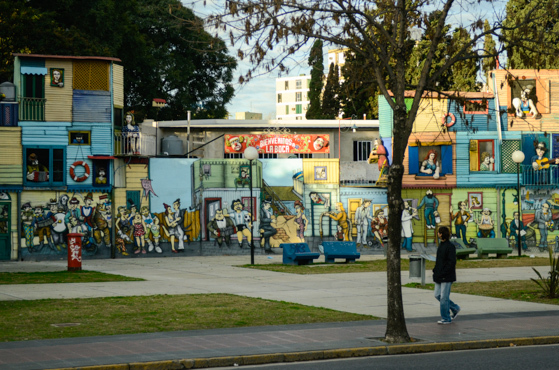 Meanwhile I will share some of the things I saw in the city of Buenos Aires last week. Hope you enjoy! This place is called “La Recoleta Cemetery”. 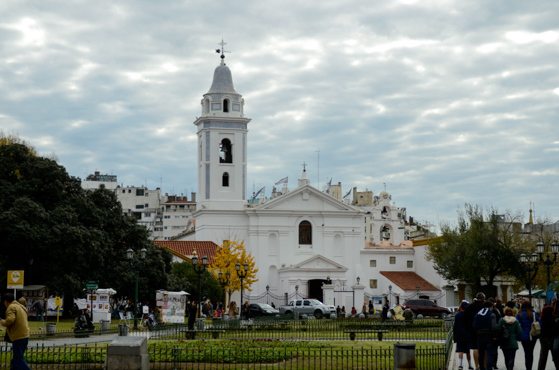 The famous Eva Perón is buried inside. Remember the song, “Don’t cry for me Argentina! The truth is I never left you…”? “Casa Roasada”- The Pink House! 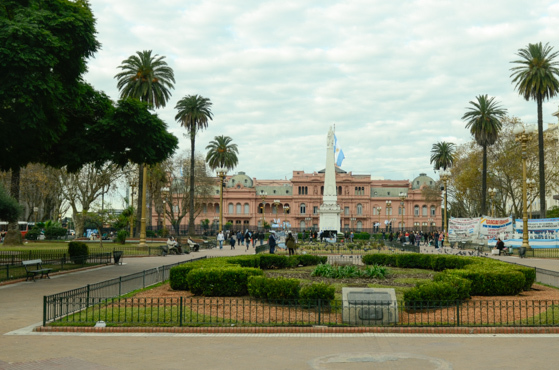 This is the executive mansion and office of the president of Argentina. Unlike the White House, the President of Argentina doesn’t live here and commute to his office by helicopter everyday according my tour guide. Argentinians are quite artistic. You will see many wall murals like this in many places. 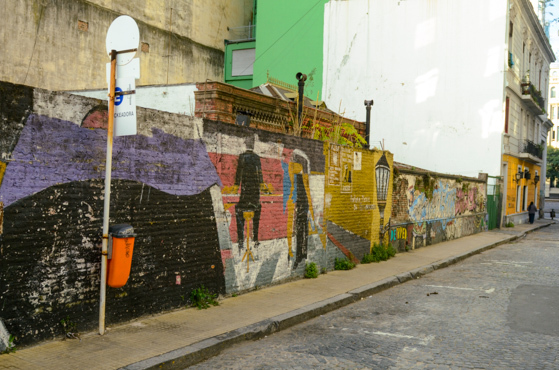 On the way to the famous La Boca. And the Tango dance fever! 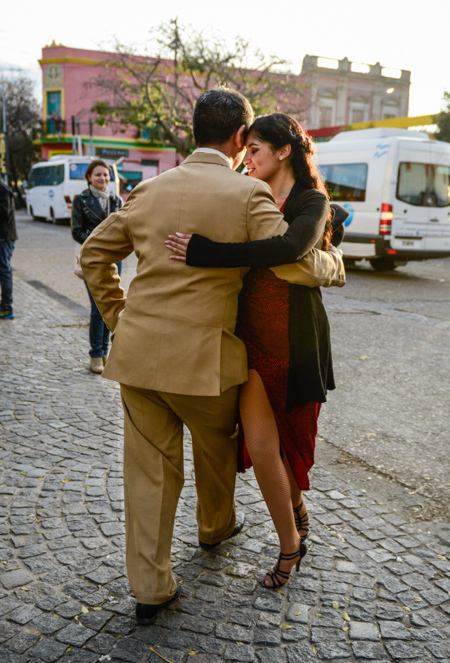 Another tango couple. Need to practice for the Dance with Star? This is a good place. I love their colorful artworks! 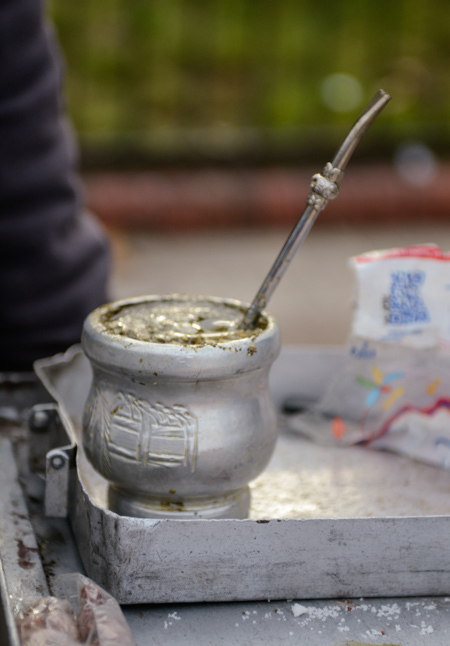 There are two things that are famous in Argentina. One is soccer. 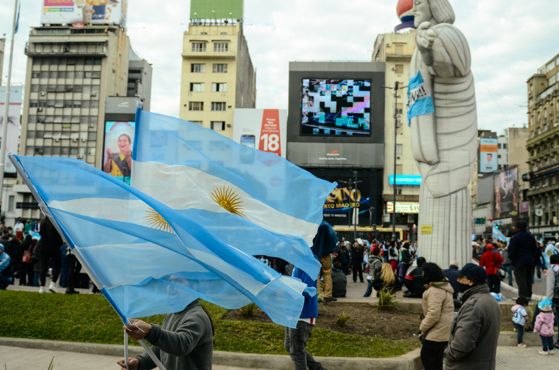 Yup, The World Cup soccer fever is heating up and you will see many people gather up and celebrate their victory every time Argentinian team is playing. You can’t ignore soccer here, folks! The other famous thing in Argentina is BEEF!!! Oh, yes! they are really good. They also love their sausages, too. Finish your hard day with Mate tea! This a sort of herbal tea that Argentinians drink all the time. I haven’t tried it yet. It doesn’t appeal to me that much but I better soon, so I can tell them I tried. This little petite Korean lady is *no entiendo castellano mucho* (not understanding Spanish much) these days. But I pray that my 2 years in this foreign country will be full of exciting adventures in both culinary and cultural exposure. Hope you are soaking up the warmest summer sun if you are in Northern hemisphere. I am in the middle of winter in the southern hemisphere, but it isn’t too bad. I’m just having two winters in a row this year. That’s all! Thanks Janet. That is so kind of you. I am still in odd how I ended up here but everything happens for a good reason, and I look forward a different kind of adventures. I will definitely ask for advice when I need some help. Thank you. Thanks Micol. You are so sweet. I can just see how caring person you are. I look forward to have a great two years in this beautiful country. I am enjoying some wonderful food already, too. The beef and ice cream are so good! Hi Jessica I am surprised that I ended up in Buenos Aires, too. Quite different than Malaysia! Language barrier is the biggest challenge for me, but other than that, things are great. Lovely weather, some great food, and very energetic people. And of course, the soccer fever everywhere! Bring on the heat, Cindy! I miss it! You gotta come and visit me sometime next couple of years. Oh how exciting for you, Holly! 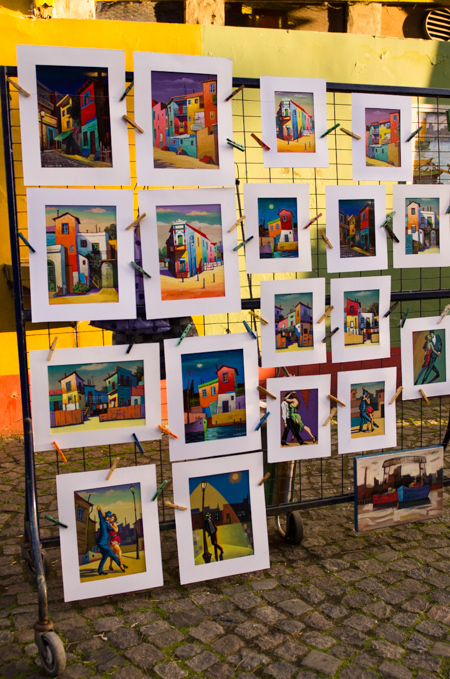 Love these pictures of daily life and art in your new home city! Looking forward to hearing more of your newest adventures :-) Que tengas buena suerte! Thanks Jeanne. I will surely post my adventures. Your Spanish sounds great. I'm jealous! Looks like a colourful and interesting place. Hope you settle in soon and learn some of the language. I look forward to reading more of your blog. Thanks Dannii, hope you enjoy reading my recipes. Yes, I sometimes feel lucky to have an opportunity to live in this beautiful country. I will post updates whenever I can. Ah!! What an exciting adventure, disorienting I'm sure, but exciting nonetheless. Can I expect some spanish-korean fusion food perhaps? PS: Argentina is my tip for the one to beat in the World Cup. Go Messi, Go Argentina! Yup, the soccer fever is at high. I hope Argentina wins, too. Hi Holly, Those photos are so warm and peaceful. However I think you are quite excited for this new place. I love that beef sausage so much. Enjoying your new life in the wonderful place. Thanks Sue. Someday, I would love to visit Australia, too! awesome adventure! I can tell you for a fact that there are Koreans in Argentina. I don't know where or how many, but I knew a Korean family (in Los Angeles) that came from Argentina. My Mom is a Korean from Mexico, and people are surprised when I tell them there is a Korean community in Mexico, so don't be surprised if you find one in Argentina. Good luck in your new adventure, and thank you for sharing. Hi Mirtha Yes, I heard that there are quite a number of Koreans living in Argentina. 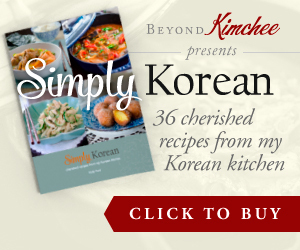 I recently have been to Korean grocery stores in BsAs and they are quite far from where I live. But it is good to know that there are Kroean stores. Yes, living in Argentina is quite an adventure for me. Hi Holly, I've been reading your blog for quite some time now. I'm from Argentina, but I'm now living in Spain. I know language can be a barrier (I lived in Germany), but we Argies are very friendly people and you will soon make friends. We love cooking and trying new flavours, so your blog could be a great conversation starter (actually, we also love talking so you won't need much help with that). Language schools are always looking for people coming from English-speaking countries for conversation lessons. Even if you are not interesting in earning money, they are a great way to meet new people. Well, I hope you enjoy living there and if you need any advise, just let me know. Hi Malvina Thank you so much for your kind words. It has been a month since I got here and things are getting better. I am taking Spanish class now and it is helping me greatly. I can tell that Argentine people are very friendly and kind. I think I will be enjoying this beautiful country a lot. Lucky you Holly, another country, another adventure. You have stayed in so many countries I think you can call the world your home! Yes, I feel so blessed to be able to live in many countries. It does give challenges, though, but the positive outcome is greater. Thanks! Wow, Holly, congratulations! 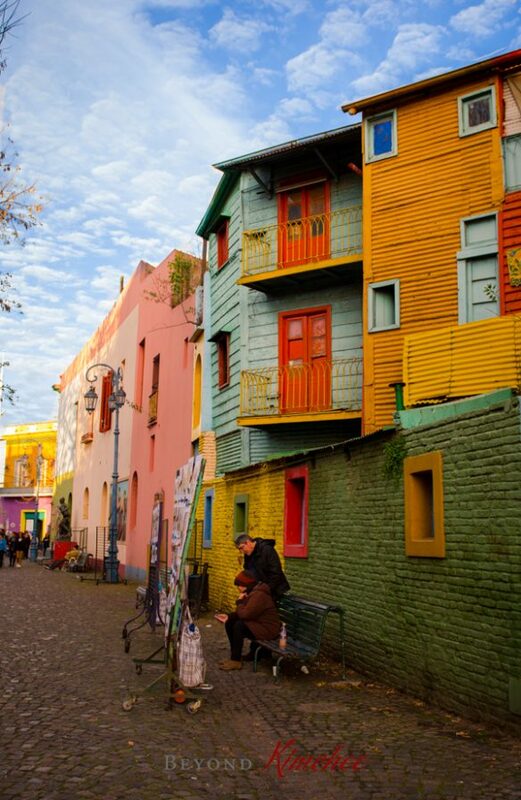 Argentina looks beautiful through the lens of your camera. I know I'm late in commenting, but I'm glad that you're taking language classes. I learned Spanish in school, and now I'm learning Korean, and I can say that Spanish is much, much easier! You'll be fluent in no time! Thank Virginia! I really do hope that my Spanish will get better. Yes, I think they are still mad at German. One of my husband's co-worker is from US but he looks very German. He told us that whenever he goes to to bar with his friends, the locals were commenting him something slightly unkind that relates to soccer. But not severely, though. So he takes it as a joke. I have traveled Germany a few years ago and I LOVED that country. SO beautiful! and Loved the food, too! But our food is so bland and fatty compared to other countries. ;) (Only half-joking here.) The cooking in Germany improved a lot during the last decades. 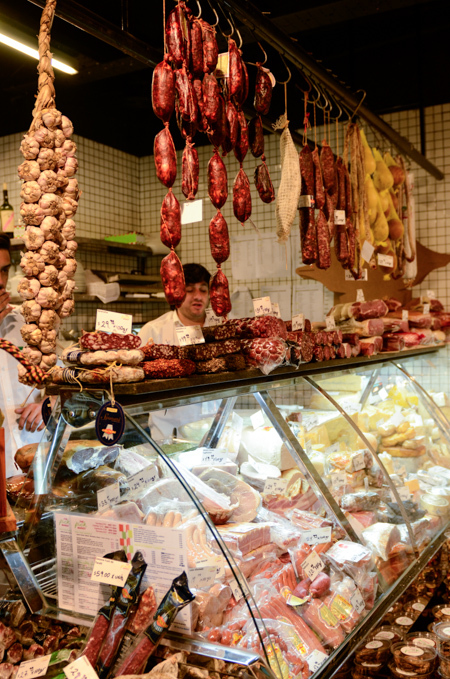 The influence of Turkish, Greek and Italian cuisine is huge. Our foreign workers brought a lot of great stuff, like new vegetables (e.g. aubergine or zucchini) or spices (e.g. fresh garlic and chili), we then included into our diet. Before that Germans cooked high caloric food for heavy working people like farmers or miners like the common combination of meat (pork and beef), boiled potatoes and vegetables (cabbage, peas, carrots, etc.). Best thing we've got is asparagus though. Every year we yearn for the harvest to start and dread June 24, which is the last day to cut it. Una buena forma de aprenser español es viendo mucho la televisión en español y leyendo aunque no entiendas mucho .